PC-SPY is a Spy Software you install on to a PC or Mac to monitor its activities. Obtain Over 40+ features in total – More than any other competitor! 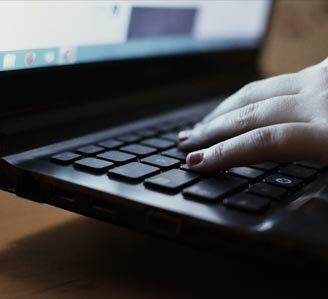 If you are a parent who is concerned about your teenager’s PC activity, PC-SPY gives you a complete suite of parental monitoring tools that you can use to discover what they are really doing, websites they visit, who they chat to online. 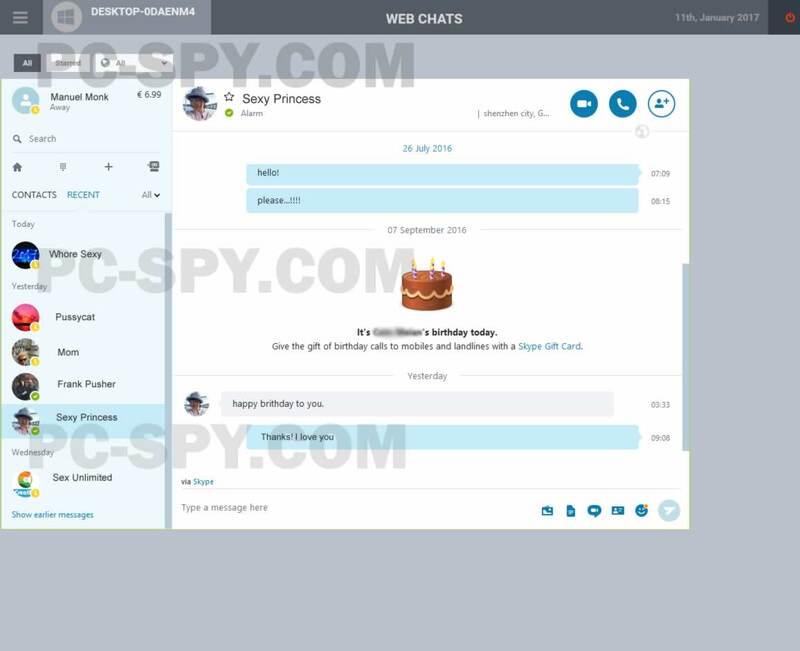 PC-SPY can block websites, chat clients, and applications used. It can alert you in real-time when filters are triggered, cloud access, smart logging and when keywords are typed. It works around the world, regardless of your distance from the computer. You will control a computer or Mac from anywhere you are. Operating invisibly, record EVERYTHING your child your employee or your relative does with PC-SPY’s wide-array of computer monitoring features. Isn’t worth spending 40 cents a day to feel safe? Watch all video uploaded with YouTube, Vimeo, VEVO and all other major online video providers. Monitor and log all applications ran by users – PC-SPY logs when the application was started, stopped, and how long it was actually used. Users cannot fool PC-SPY by simply opening a program and leaving it running in the background – PC-SPY will know how long the program was actually used. Log webmail messages from most major webmail providers – such as Gmail, Yahoo Mail, and Outlook webmail. 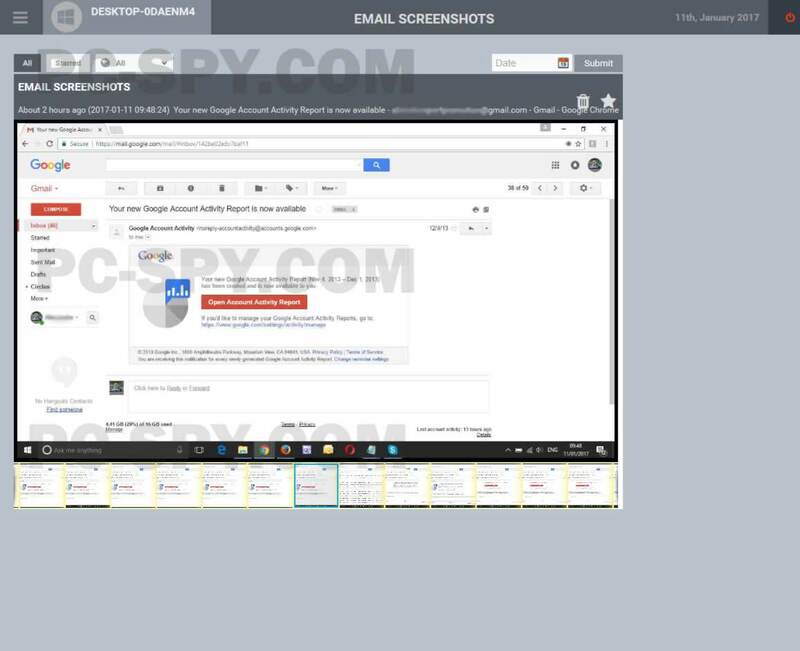 PC-SPY logs incoming messages read by the user, as well as messages they send out through webmail. All website content visited can be logged as well. 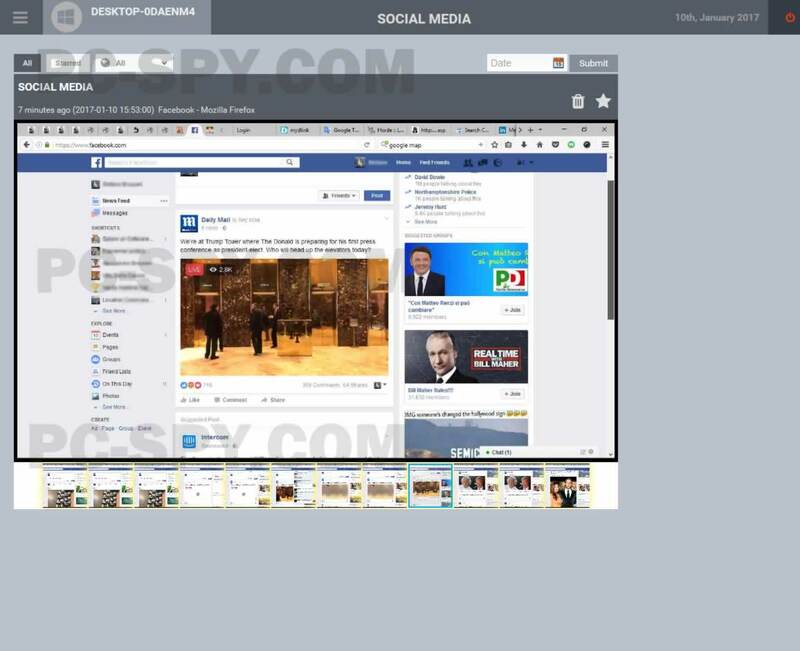 PC-SPY automatically takes screenshots of the desktop so you can see what the user has been up to. Stay informed about the programs & applications being used. PC-SPY lets you check every keystroke typed by the user even if it is immediately deleted. 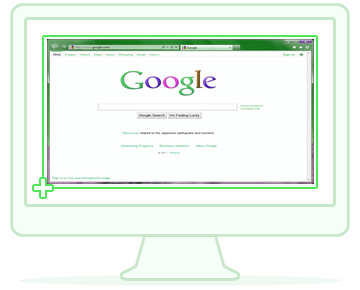 Use PC-SPY to know what’s being searched for on Google, Bing, or any other online search engine. 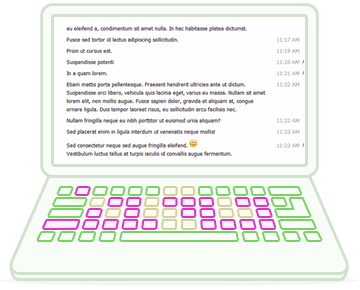 View chat messages sent by the user via any instant messaging application, check all sent emails, texts typed in Word documents, and more. Take a closer look at the programs and applications that are being used on the target computer. See which Internet browsers have been used and find out how much time is spent on individual apps. All the data you desire are available to you at any time no matter which Internet-enabled device you use to access your PC-SPY Control Panel. Web Mailers allows getting comprehensive information about all letters opened on the target device in Firefox, Chrome, IE and Safari browsers. 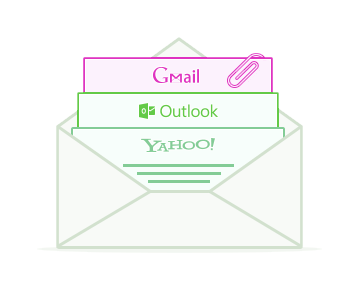 The usage of the popular Web-based email services, including Gmail, Yahoo! Mail and Outlook.com, can be monitored hands down. Make sure the monitored computer is compatible with our tracking software before purchasing PC-SPY. Select the subscription for your needs, fill in the order form and complete the payment. Check your email’s inbox for the order confirmation and your login credentials. 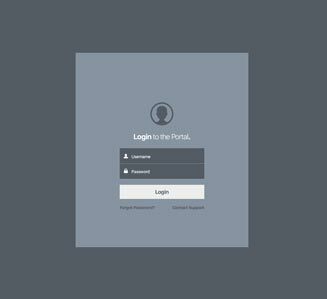 Log in to your Control Panel using login details from the welcome email. Choose the operating system of your computer and install PC-SPY onto the computer device using the installation wizard. Install and activate PC-SPY with your unique licence key. 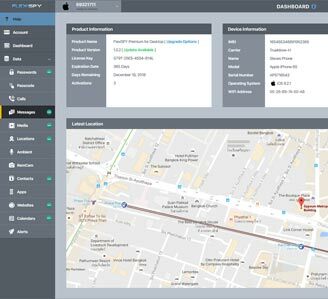 Within minutes of installation, PC-SPY will begin tracking activities taking place on the monitored computer. 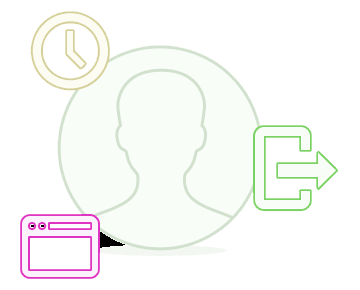 Check captured screenshots, typed keystrokes, webmails, Skype and apps usage remotely from your personal control panel. PC-SPY is a leader in the design and development of professional spy phone software, and is the only company to offer multi-platform solutions for Mobiles and Computer to consumers, businesses and the professional market. My name is Marc and I have a small computer company in Austin. There are several ways in which a company should protect themselves, especially when it comes to online transactions. Let’s face it, any access to the internet from the office is a potential flap for the leak of information and data. I adopted PC-SPY from the first day of work, installing it on every employee’s PC. Using it, I can work peacefully, knowing that nothing can come out and be resold to some competitor. I set automatic reports twice a day, just enough to make sure everything is okay. I never stop thanking for the security rate that manages to send me, allowing me to concentrate on the things that really matter. Its functions are many, over a hundred and sixty, giving me the opportunity to work in different ways, if something does seem to me strange. The best thing is that I can handle it from the smartphone. I have two teenagers. They spend evenings chatting on Facebook and Instagram and share files with their friends. At first it did not bother me, then I started to have some concern after all services on the news all over the world: social networks, chats.. it seemed to be all dangerous. What could I do to keep them safe, without being intrusive, and keep up with them at all times? Surfing the internet I found the answer, PC-SPY. I could really control what they said, staying in the next room or a hundred kilometers away? The best thing of all is that I could do it anonymously, without arousing any suspicion. I’m not a great expert, but I decided to try it: the result was crazy, it was all n my hands; Moreover, thanks to the PC-SPY support, I had done everything in ten minutes. Now I can keep everything under control, even from my iPad tablet and Android smartphone. I heard a great deal about this service and eventually I decided to give it a try – there was a need, to put it in such a way. I have to say that it is really undetectable – I was relieved to get this confirmed. I also like it that the data is unloaded in small packages and it is just impossible to be detected and there is no text commands that are used in other software and all the control goes from the control panel – strictly online. With the help of their tech support it was resolved really in a matter of an hour. I surely can recommend PC-SPY as it served my purposes well at some point of y life. I am Caroline and soon become a mother for the second time. This is not the point, but I found a fantastic tool to keep an eye on my husband. Often in the evening he locked himself into his study and did not understand what the hell he was doing. I approached, knocked and asked, but never answered or was rather vague about it. Asking for help to a friend on the network, this has encouraged me to try PC-SPY and I did. Install it on my husband’s computer was simple, it only took five minutes. Then I started getting everything on my online panel. I’ve never been the type of person who spies a computer or a person, but I needed it. It is nice to go to bed with someone you do not know in depth: I started getting all his conversations on social networks, photos that traded and more. Now, I can finally sleep peacefully and without thoughts. I will never stop to say thank you and thank you again. Track key logs, desktop screenshots & emails. Track browser history, browser bookmarks & applications installed. Monitor network traffic and network connections. 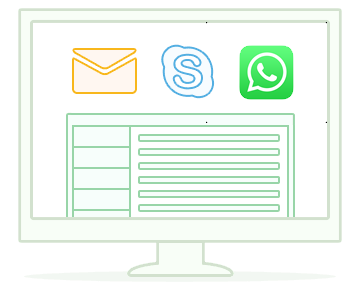 Track Skype, LINE, Viber, iMessage & more! Track USB file transfers, file activity and print jobs. In Sale Now! 29€ Amount You Save! What are the system requirements for using PC-SPY? PC-SPY is compatible with all versions of Windows 7, 8, 8.1, and 10. 64-bit computers are supported. PC-SPY is compatible with all versions of Apple macOS Maverick, macOS Yosemite, macOS El Capitan, macOS Sierra. Be at the device physically. Type Run and click it. In the Run window, type winver and press Enter. The Windows version will be shown. Click the Apple icon in the top left-hand corner. Does PC-SPY run invisibly ? Will users know it is installed ? PC-SPY runs invisibly when installed in stealth mode – it does not show up on the desktop, task bar, or start menu. PC-SPY can even hide its program install and log folders so that others cannot stumble upon them. PC-SPY is designed to use minimal resources so it does not impact the performance of your computer. 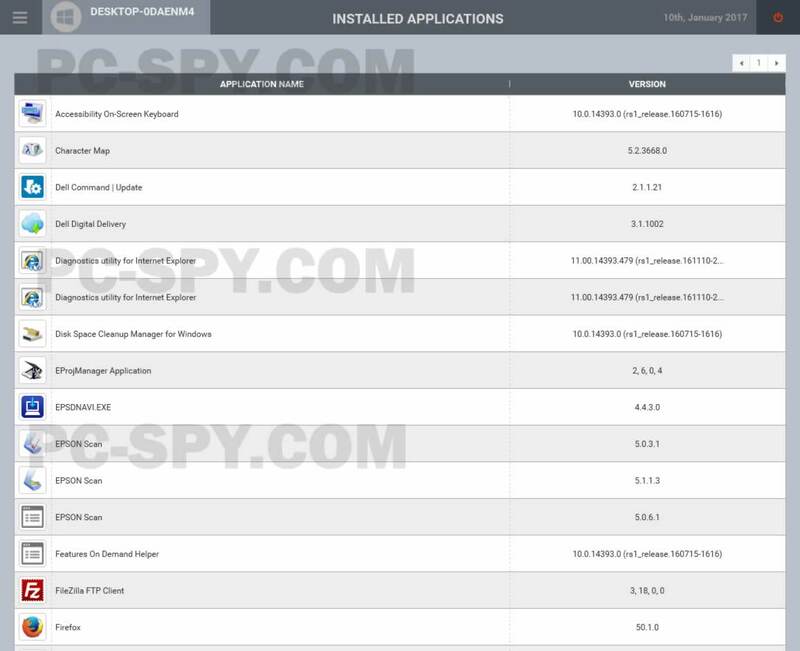 PC-SPY collects data from the target computer on which it is installed and displays it in the Control Panel (your account that will be created after purchase) which you can access using any Internet browser. To start using PC-SPY you need to check the compatibility of the computer you’d like to monitor, choose the subscription plan and proceed with the purchase. After that you receive an email with the login and password to your personal Control Panel where you also find the installation instructions. Basically you’ll need to have a full authorized physical access to the target computer, launch the computer browser, download the software following instructions and complete installation by entering registration code. By installing PC-SPY, you confirm your intention to use this software legally, i.e. you install PC-SPY on your own device, the device of your underage child or the owner of the device agrees to be monitored. It is legal to use PC-SPY? PC-SPY application was designed to help parents keep their children safe and workers productive and its usage is absolutely legal. You want to use PC-SPY as a parental control solution for monitoring your underage children. You want to use PC-SPY as a solution for monitoring company-owned devices of which employees are aware of being monitored. You want to install PC-SPY on your own device. It is your responsibility to determine whether you have proper authorization to monitor the device. It is also your responsibility to determine which disclosures, notifications, or agreements may be necessary in your jurisdiction, as applied to the specific facts and circumstances in which you want to use PC-SPY. If you have questions about the legality of using PC-SPY as you intend to use it, contact legal counsel of your choice. PC-SPY cannot provide legal advice. Is PC-SPY icon displayed on the monitored computer? After the installation, PC-SPY application is launched and starts working in a background mode. There is no shortcut (for Windows) or alias (for Mac) displayed on the target device. PC-SPY uses Internet connection to transfer the information to your account. PC-SPY folder is shown on the hard drive and on the Process List (in x64 version of Windows OS) and in the Activity Monitor (on Mac OS). The collected information is transferred to your account automatically. PC-SPY purchase will appear on your bank or credit card statement as Net-Promotion CCBill. You may be eligible to receive a full refund within 10 days following the day of your purchase as long as refund reasons do not contradict our Terms & Conditions. At the same time, we are confident that our professional Customer Support can help you with any issues that may arise and make you fully satisfied with PC-SPY.